Just because New York Fashion Week ended, it doesn’t mean you can’t get your fashion fix anymore. Starting Sunday, Sept 20, until Friday, Sept 25, the LC will host its own Fashion Week for the first time ever! Make sure you indulge your passion for fashion all this week on the LC Style Blog because we will be featuring tips on the hottest trends and how you can make it your own at a great price. On top of the fabulous style tips and advice, we’ll also be introducing some hot new designers and brands that will blow you away! Gone are the days where you feel limited to one color of metal when you’re accessorizing. Upgrade your style game by trying out the mixed metal trend this fall. 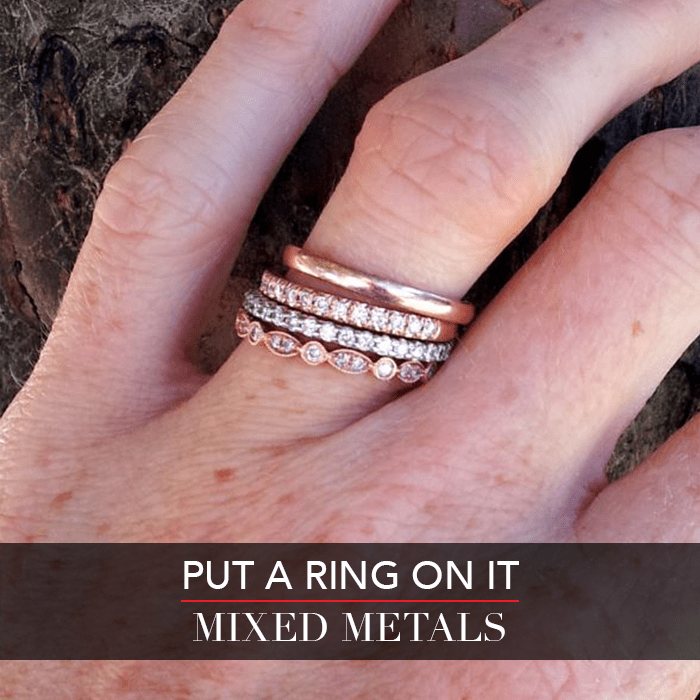 From classic yellow gold or sterling silver, to earthy brass or brilliant rose gold, it’s time for your various metals to get close and personal. Check out our 4 tips for mixing metals like a Fashionista. The easiest way to accessorize your jewelry is by picking one piece to to work around. 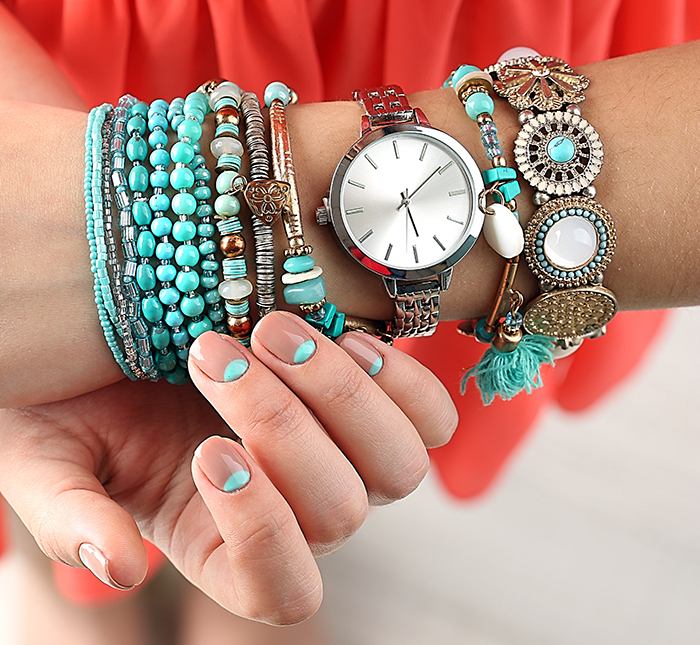 Whether it’s a statement bracelet, a chunky watch or a big cocktail ring, work around it by adding smaller, less flashy pieces. Although big and bold is very on trend, you don’t always want to rock statement pieces. If most of your jewelry pieces are just about equal, try to mix it up by thickness and size. Never be afraid to kick it up a notch with color. A bright gemstone or beaded pieces add the perfect amount of contrast in a sea of gold or silver. When it comes to the mixed metals trend, don’t limit yourself to one type of jewelry. 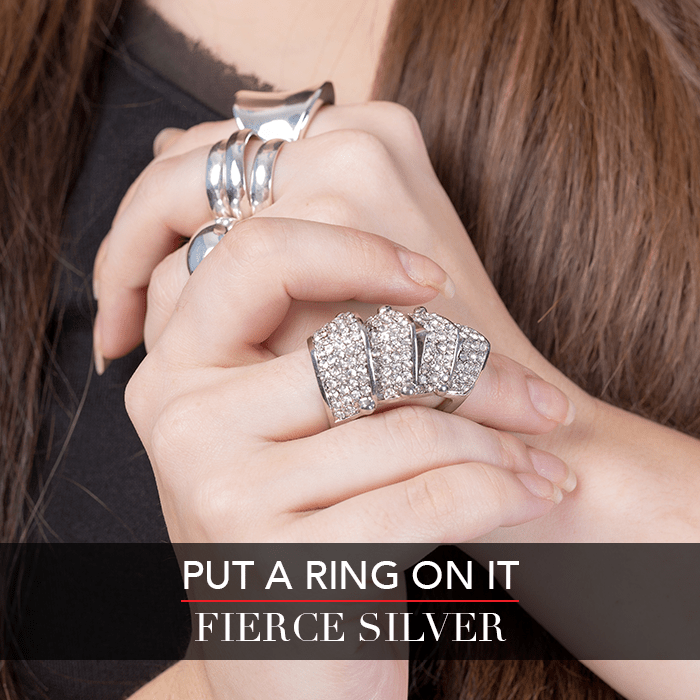 Try layering your rings, necklaces or even earrings on different occasions to really master this look. This season calls for earthy neutrals with a range of bold statements and color patterns to reflect a natural autumn landscape. Check out the hottest fall colors, which include marsala, olive, oak buff and biscay bay. 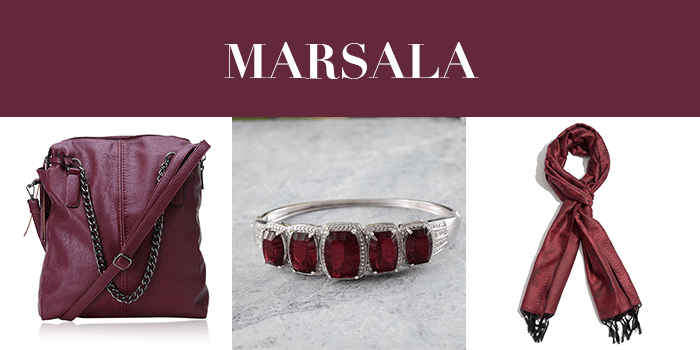 Great on its own and even better when paired with contrasting colors, marsala is Pantone’s Color of the Year. It is a red-brown hue that portrays sophistication and warmth. 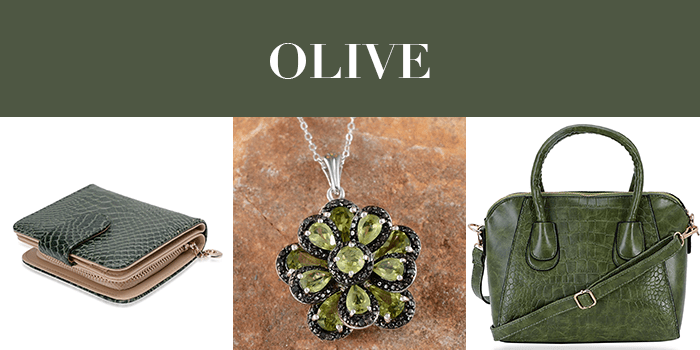 Olive is a color that’s definitely having its moment this season. It may have a military connotation to it, but that doesn’t mean all the silhouettes have to be masculine. Incorporate peplums, tiers, sheer and bows to add a feminine touch. Oak buff is a mellow, warm shade of yellow. 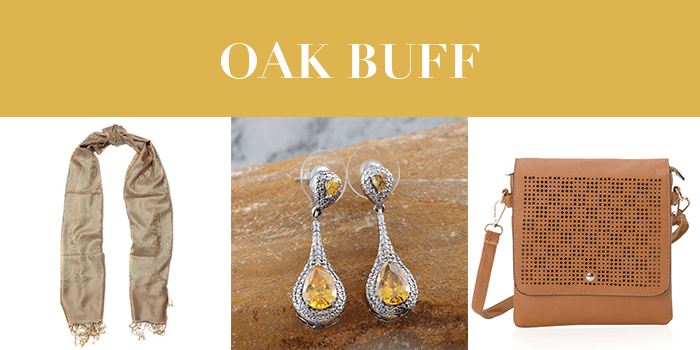 Whether you’re featuring it on a handbag, scarf or a dress, oak buff will add a bright pop of color to your fall wardrobe. 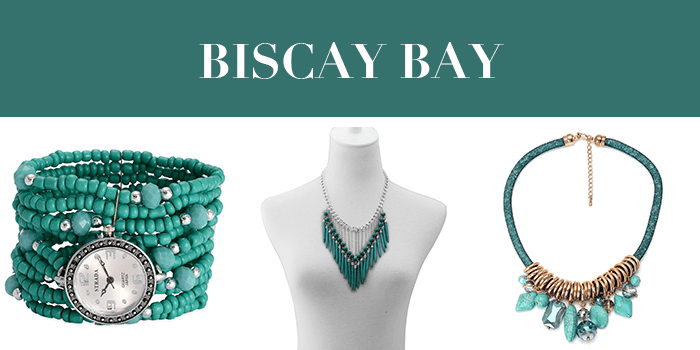 A lush and elegant teal, Biscay Bay splashes up against more heated tones with its cool touch. This cool and confident color exhibits serene qualities of blue and invigorating aspects of green. Consider rings your own personal way of creating a signature look that is uniquely yours. Whether you like wearing a few or a handful, chunky statement rings or dainty thin baubles, get creative with your jewelry. Here are five fun ways to create a finger party that are definitely Instagram-worthy! Going all silver is never a bad idea. These curved silver plates and bold geometric designs create a fierce look. This combination of rings works best if you have longer fingers. 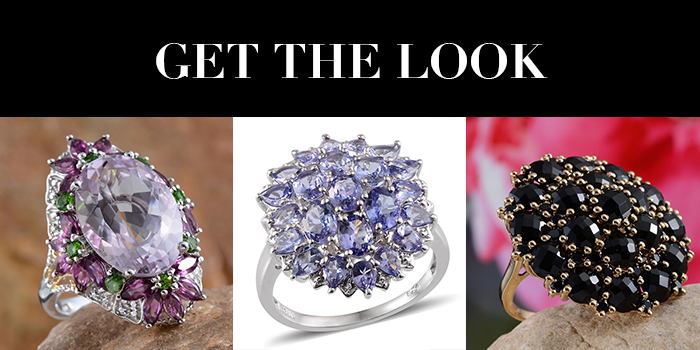 Invest in a collection of rings that feature colorful gemstones this fall. When looking to pair several different colors together on one hand, try staying in one color family. 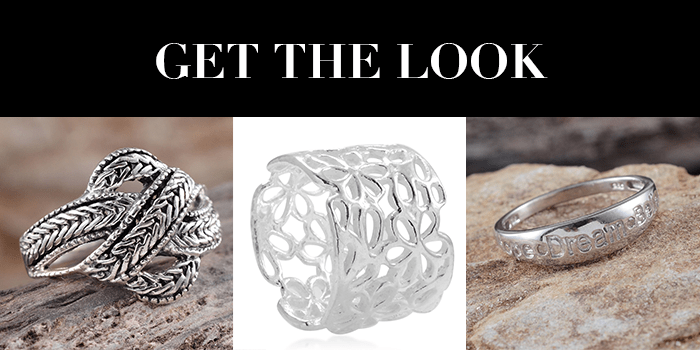 Your rings will complement one another and create an effortless look. Combining several small, simple designs will create a dainty, yet edgy look. 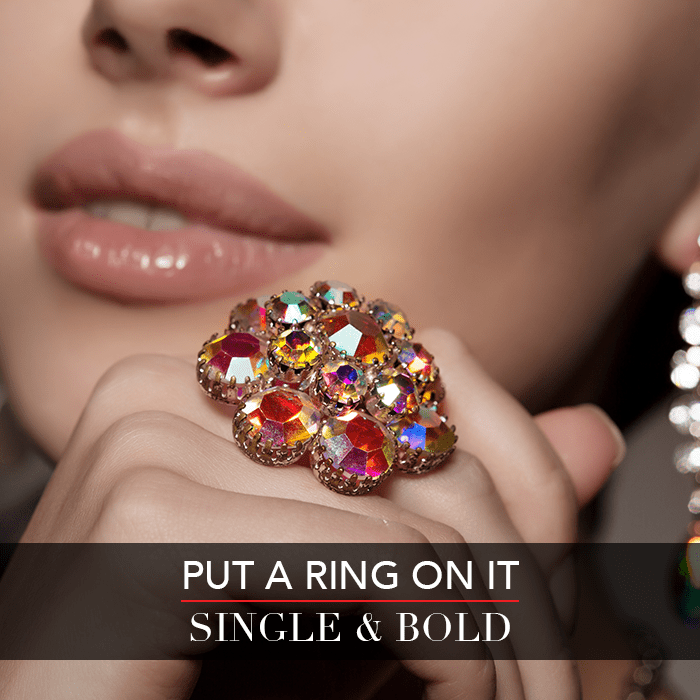 To get this look, go for rings encrusted with tiny gemstones and featuring thin designs. 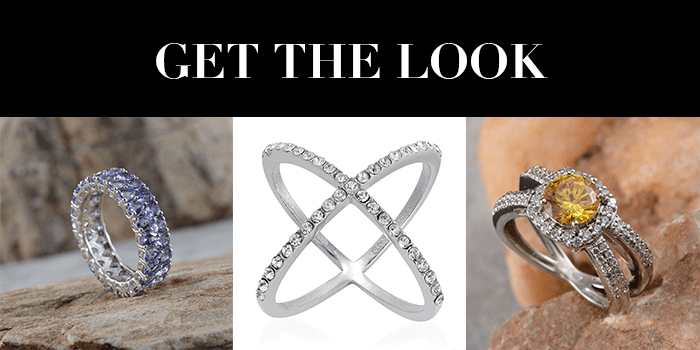 Although stacking rings has been very on trend recently, you can’t go wrong with a bold cocktail ring. 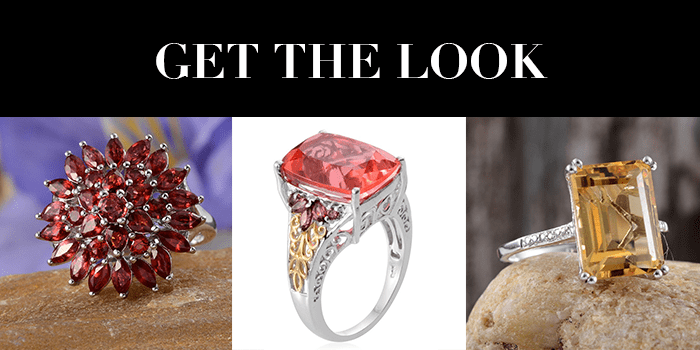 Bright gemstones and eye-catching designs really make a statement. The only rule for this look is that there are no rules! 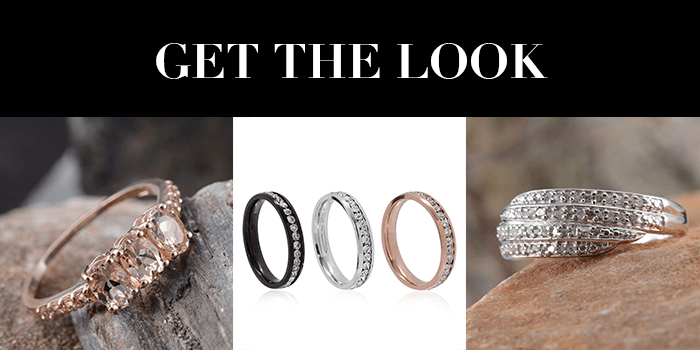 It’s time to stack, sparkle and shine because the mixed metal look will take your style to center stage. Don’t be afraid to stack all of your different metals on the same finger. This will give the illusion of one chunky statement piece.